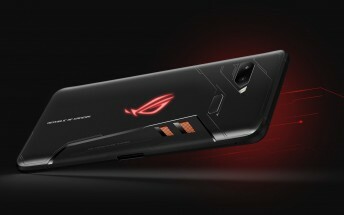 The Asus ROG Phone flies high with an overclocked Snapdragon 845 chipset and 8GB of RAM. But what if there was a more affordable version with less RAM? 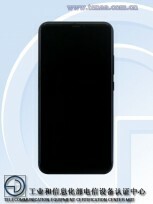 TENAA says that there is not one but two. 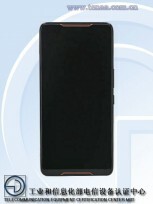 The Z01QD model has three RAM capacities: 8GB, 6GB and 4GB. Storage remains a choice between 128GB and 512GB. 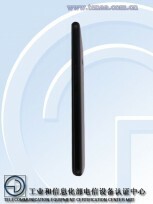 The 2.95GHz CPU clockspeed is unmistakable and so is the futuristic design of the back. 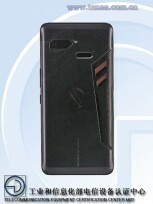 But the camera on that back may not be the same – TENAA lists only a single 12MP shooter instead of the 12+8MP dual cam on the current ROG phone. Asus Z01QD - a ROG phone with less memory? It looks like there’s a dual camera on the back, regardless of what the specs claim. There’s an inconsistency in the battery too – 3,850mAh instead of 4,000mAh – but that’s probably the difference between minimal and typical capacity. Even if the camera and battery are the same, a lower RAM capacity can be enough to shave a few euro off the €1,000 price. Meanwhile, there’s the Asus Z01RD, which we spotted in Geekbench with a (non-overclocked) Snapdragon 845 chipset. 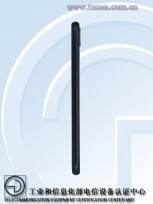 It has a 6.18” screen with 1,080 x 2,246px resolution (18.7:9). 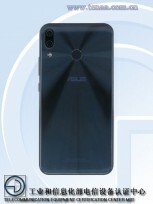 Overall, it appears to be a version of the Zenfone 5z.